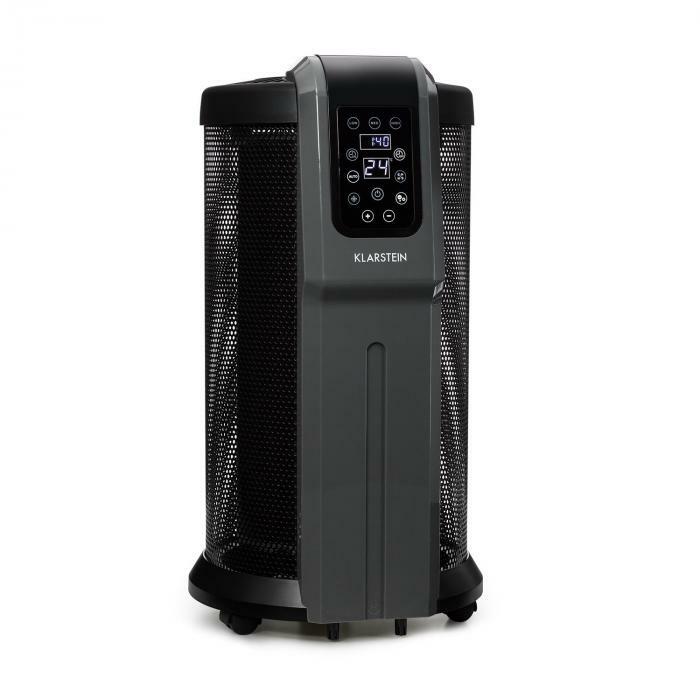 Powerful heater with 2200-watt Mica heating element in 3 heat settings, infinitely variable thermostat, display and remote control. 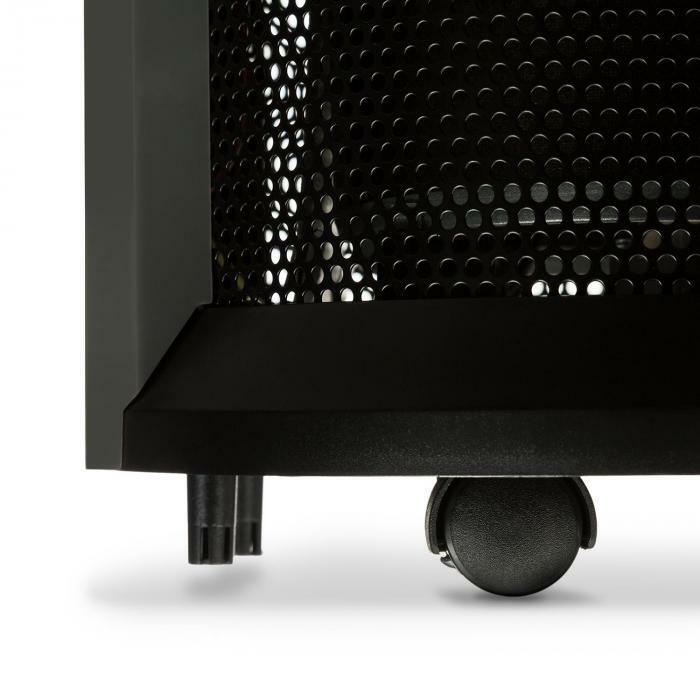 Mobile 360 ° heat: all-around heat radiation for even temperatures throughout the room, with ground rollers for easy transport. Clever system: thermostat independently detects the room temperature and switches off the appliance when the desired temperature has been reached. 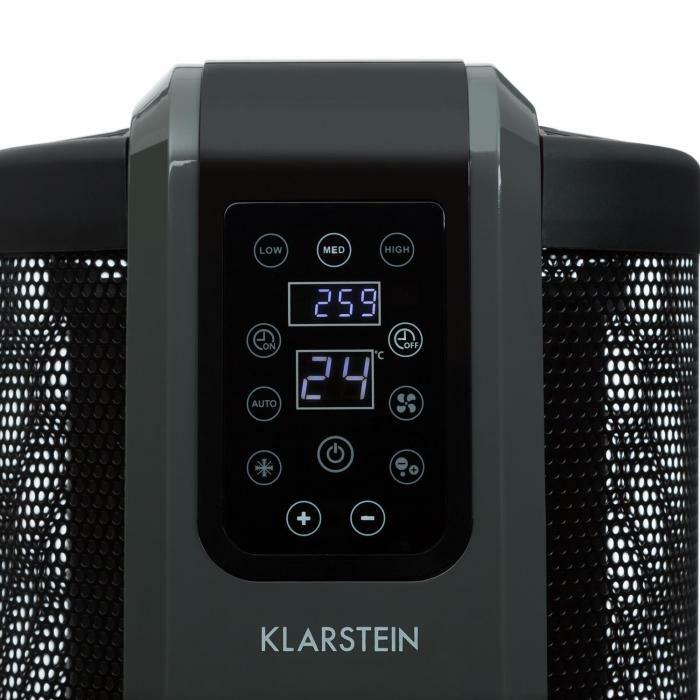 All-around comfortable and warm: the Klarstein Datscha Digital all-around heat radiator creates evenly distributed warmth in a 360 ° radius. 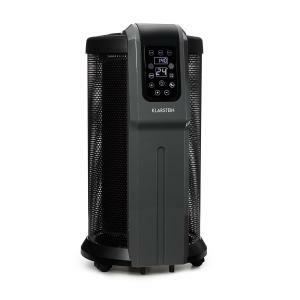 The powerful Klarstein Datscha Digital heater ensures comfortable warmth on cold days and nights. Thanks to its round design and the 360 ° Mica heating element, it not only heats up its surroundings in one direction, but in all directions. 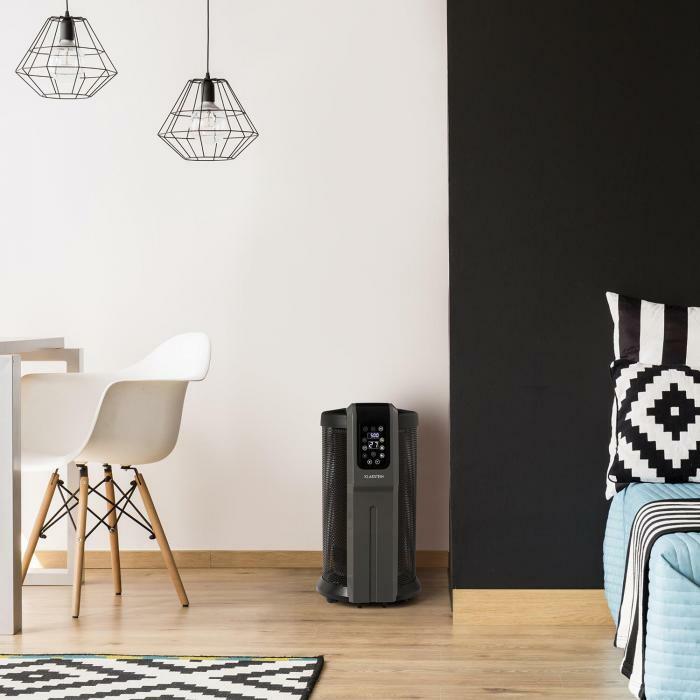 With 2200 W in 3 power levels, it works according to individual heat preferences: the built-in thermostat is adjusted by digital control between 5 and 45 ° C and enables intelligent control of the device. As soon as it has reached the desired temperature, the radiant heater switches off and resumes service again when the temperature falls below the desired level. This saves money and prevents overheating. A 24-hour timer can be adjusted to the minute, guaranteeing reliable heating as desired. 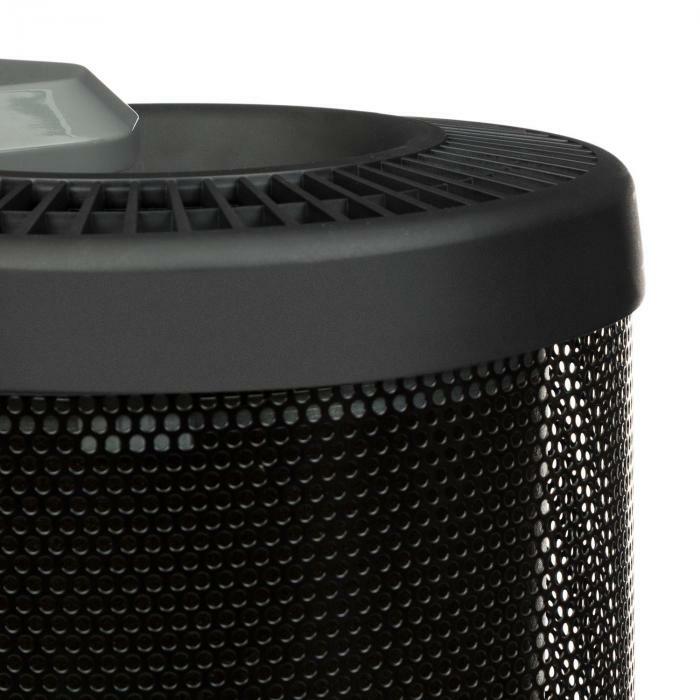 Optionally, an ion function may be switched on, and the built-in overheat protection ensures safety. 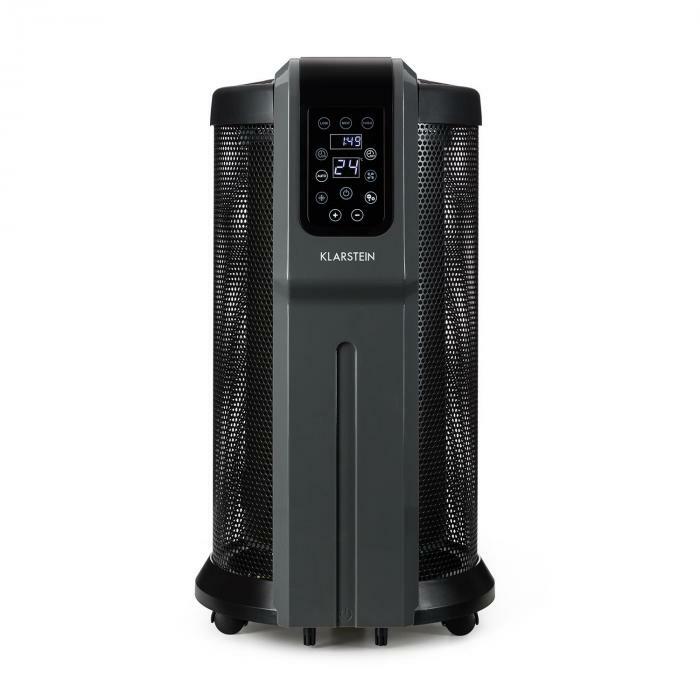 Thanks to its low weight, the carrying handle and the ground rollers, the Klarstein Datscha Digital 360 ° radiant heater can be used anywhere where cold is not desired. Whether in the living room or bedroom, the hobby room or the garage - the Datscha Digital is quickly ready for use. 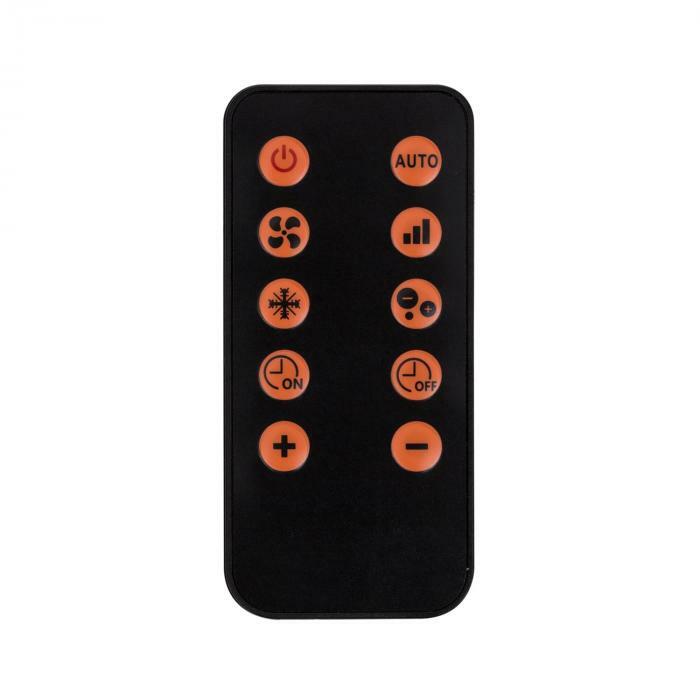 And the supplied remote control allows convenient remote operation. 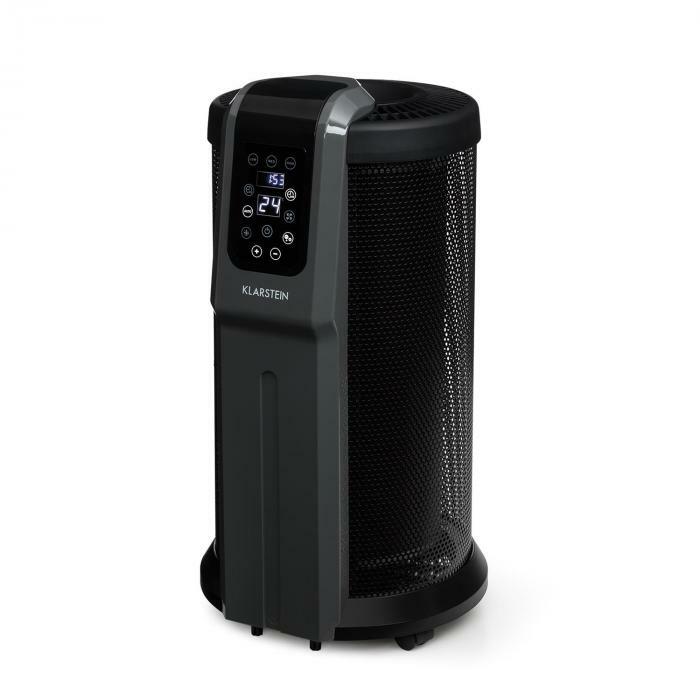 The clear design of the heater makes it fit into any residential and office landscape easily. 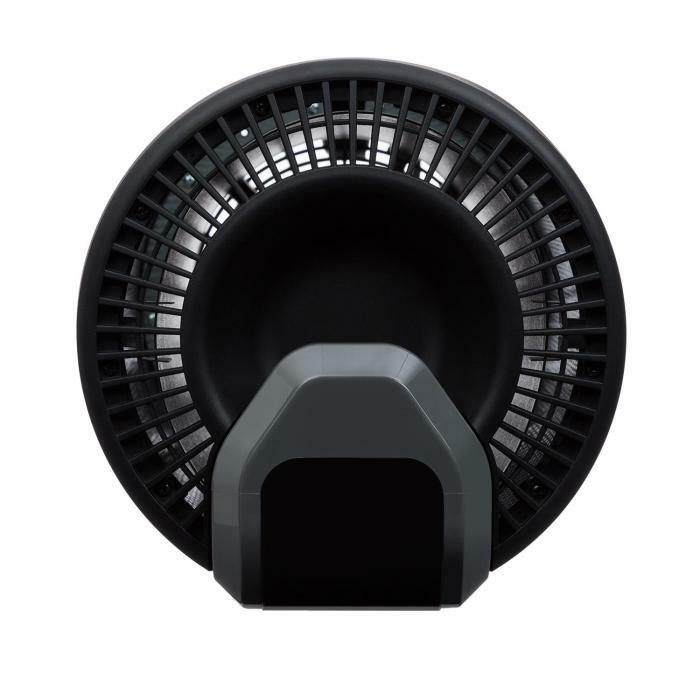 Due to the materials used - metal and plastic - it is very durable and can be easily cleaned with a cloth or the vacuum cleaner. Ready to use, comfortable to operate and safe: the Datscha Digital from Klarstein.